The lighthouse is located on the eastern end of Nantucket, just north of Siasconset. Sankaty Head lighthouse was unique for its time in that it had not only a fixed light but also flashing lights to distinguish it from the numerous other lighthouses on the East Coast. When it was built in 1850, towering almost 160 feet above sea level, it received a second-order Fresnel lens from Paris, which was the new type of lens of its day using glass and reflectors to accent the light. It was Massachusetts' first lighthouse with a Fresnel lens and the first lighthouse anywhere in the United States to have this powerful Fresnel lens installed. This original 1850 lens was illuminated by a single-wick lamp that would consume over 400 gallons of whale oil per year. 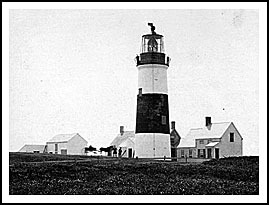 Sankaty Head soon became known as New England's most powerful light, and could reportedly be seen as far as 40 miles away. The lens was used for 100 years until it was replaced in 1950 by modern rotating aero beacons. The original Fresnel lens can now be seen at the Nantucket Whaling Museum. The light was automated in 1965, but Coast Guard personnel continued to occupy the station until 1992, with the personnel reportedly hearing and seeing strange paranormal events, which included pots and pans that would fly on their own. Whenever the ghost or whatever it was, was asked to stop, the activity would cease. Sankaty Head was also threatened from constant erosion and was gradually getting closer to the edge of the bluff. In the fall of 2008 the lighthouse was moved back from its original position next to the Siasconset Golf Course that surrounds it (shown in photo). The lighthouse grounds are open to the public but the lighthouse tower is not. 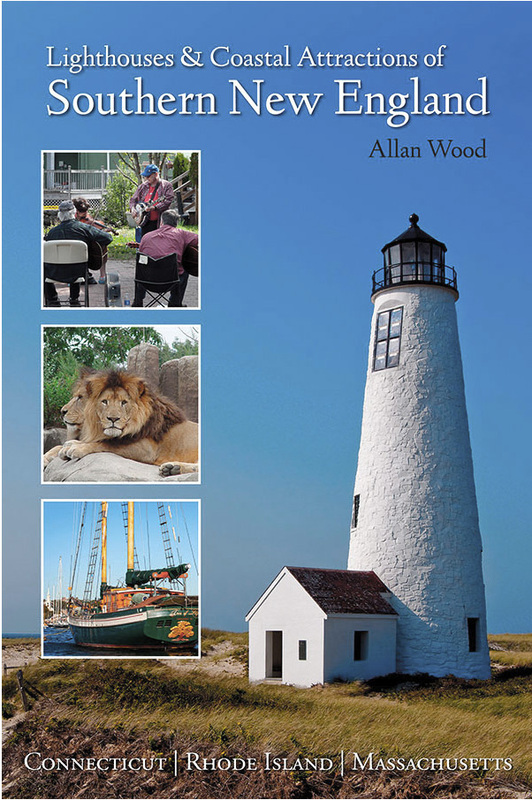 The town of Siasconset lies in a very quiet picturesque area on Nantucket with nearby beaches and the Siasconset Golf Course, which practices “pasture golf” where visitors can play dressed as they are and enjoy the views by the lighthouse. Believe it or not, the golf course is also open year round. Sankaty Head now sits adjacent to the golf course about a mile north of the village of Siasconset. The Coskata-Coatue Wildlife Refuge lies a few miles way where a naturalist guide provides visitors a tour on a four-wheel sand buggy through the salt marsh to learn about the geology, ecology, and history of the area and to climb the Great Point Lighthouse. Both the Steamship Authority and Hy-Line Cruises offer ferry service to Nantucket from Hyannis. From the Steamboat Wharf in Nantucket, proceed up Broad Street to South Water Street. From Main Street, turn left on Orange Street and continue for just over a mile to the rotary. At the rotary, go east on Milestone Road about six and a half miles to Siasconset. Milestone Road will turn into Main Street, which leads to the center of town, where you will turn left on Shell Street. Shell Street will merge into Sankaty Road. From Sankaty Road turn right onto Bayberry Lane and the left onto Baxter Road, which will end at the lighthouse. 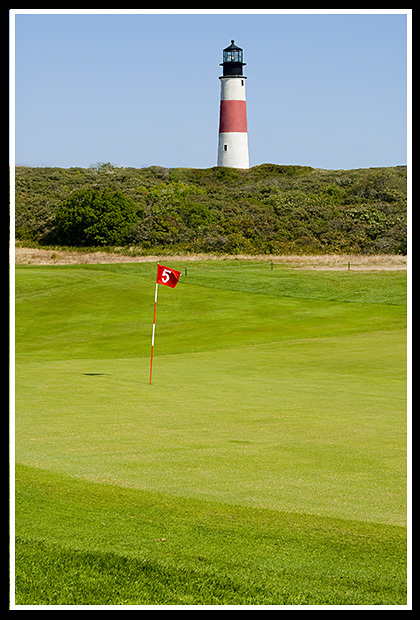 Note: Sankaty is also accessible by taking the Nantucket shuttle to Siasconset, and getting off just south of the golf course. The ferries mentioned don’t pass by the lighthouse, but provide services to get to the island of Nantucket from either the mainland or between the islands.